There’s no better feeling than when the lights start to dim as you wait in anticipation for the band to hit the stage. Music lovers will feel right at home amidst Lansing’s thriving music scene. From local artists to big-name bands to melodic orchestras, you can count on this city to bring you just about every genre you could ask for along with diverse venues filled with enthusiastic crowds. Hit up MSU’s Wharton Center for Performing Arts for Broadway musicals and an eclectic mix of shows, and keep up with the Lansing Symphony Orchestra, who never fails to enchant the audience with their vivid compositions. No matter what you like – country, jazz, hip-hop, rock - you name it – you’re bound to come across it in Lansing. Thanks to venues like The Loft, Green Door and The Exchange, plus restaurants and bars that support local artists, there’s bound to be a show to catch each and every night while you’re in the Greater Lansing area. Apart from the city’s daily lineup, you can look forward to an abundance of unique and exciting festivals taking place throughout the year. 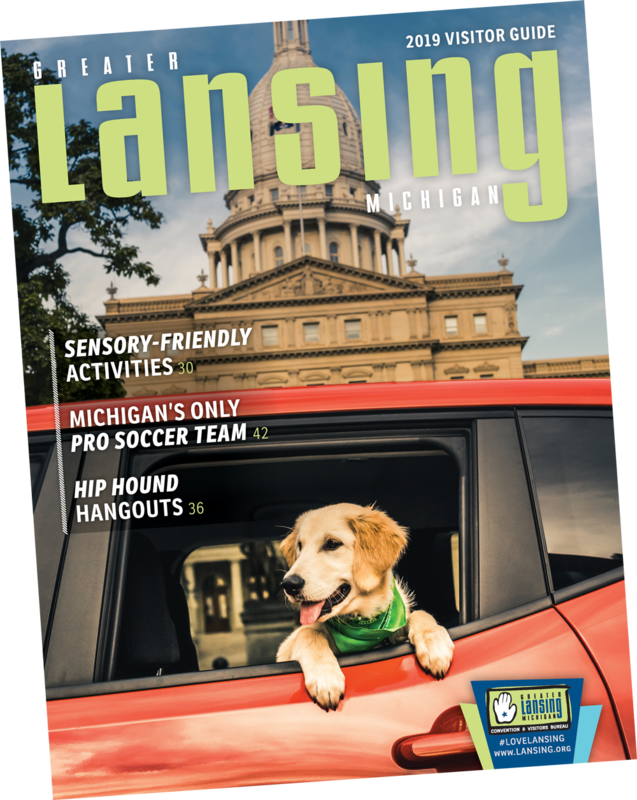 After all, Lansing is considered to be Michigan’s festival capital—an honor received with great pride. It definitely lives up to its title, offering more than a dozen different festivals in the first half of the year alone. Many of them feature live music and live entertainment, so you can jam out while grubbing on good eats and craft beer. Numerous events are dedicated specifically to music, such as the Summer Solstice Jazz Festival, Sun Dried Music Festival, Great Lakes Folk Festival, Michigan BluesFest, Lansing JazzFest and the Common Ground Music Festival, where musicophiles can come together and sing along to their favorite tracks beside the scenic Grand River. The next time you’re in the area, be sure to set aside time to catch up on what everyone is buzzing about. Get a group of friends together for an experience you’ll never forget, or bring the whole family to one of the city’s festivals, most of which offer kid-friendly activities and entertainment for your youngest members. To scope out your options, stay in the know with help from local community calendars. Hurry and get your tickets before the best shows are sold out!